Louis Tomlinson has been slammed for "needlessly provoking" the situation with Zayn Malik. 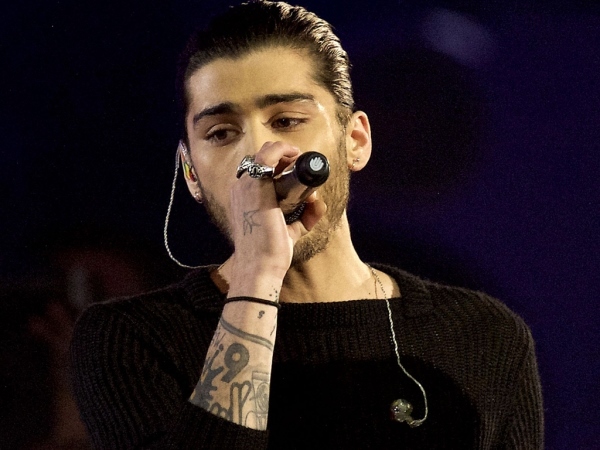 Zayn quit One Direction last month, saying he couldn't handle the pressure as he wanted to be a normal 22-year-old. A day after he was spotted in the studio with Naughty Boy, who later posted a demo of what they'd been working on online. Zayn's ex-bandmate Louis reacted furiously, with producer Naughty Boy insisting things were blown out of all proportion. "There seems to be some needless provoking going on. [Louis] was deliberately adding to the provoking," he told British magazine Heat. "I don't think that's fair. Especially on Zayn, that's not fair. Right now, there needs to be calm. He could have said that to me privately. Doing it openly is another act of provocation that's not needed." Before leaving the group, the singer was signed off their On the Road Again Tour with stress, following claims he'd been unfaithful to his fiancée Perrie Edwards. Fans and critics alike were surprised when Zayn was spotted in the studio so quickly after leaving the group. Naughty Boy claims no one should judge though, as the pair weren't working on some secret project together. "I've been his friend. He needs one. Just because we were seen at my studio - you [don't] necessarily just make music," he insisted. "People seem to forget that he's under so much stress. Which is why he left the tour. There's a lot going on. People get caught up - what he has done is to be normal. Sometimes being normal is to try and sort things out with your fiancée or hang around with a friend. That is normal." The song posted on Twitter was called I Don't Mind, and Naughty Boy insists he and Zayn actually recorded it in 2014. "If people knew the truth..." Naughty Boy added.